Краткое описание: Professor Oak needs your help! 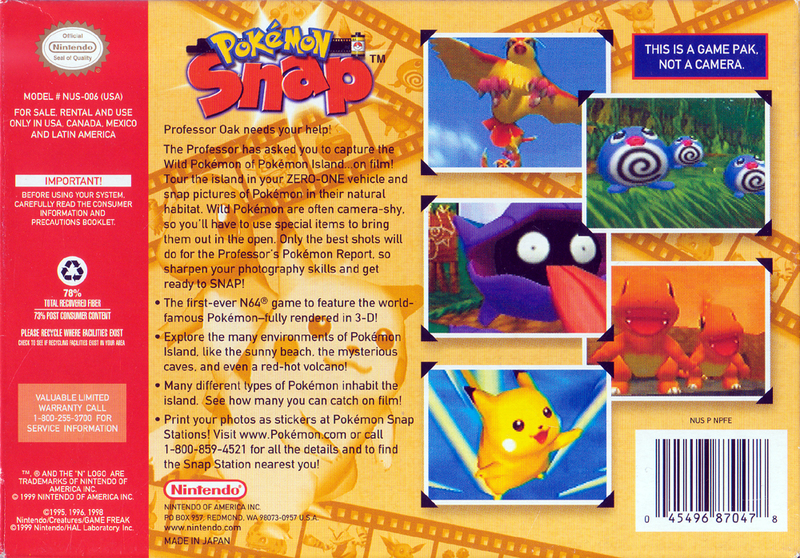 The Professor has asked you to capture the Wild Pokémon of Pokémon Island… on film! Tour the island in your ZERO-ONE vehicle and snap pictures of Pokémon in their natural habitat. 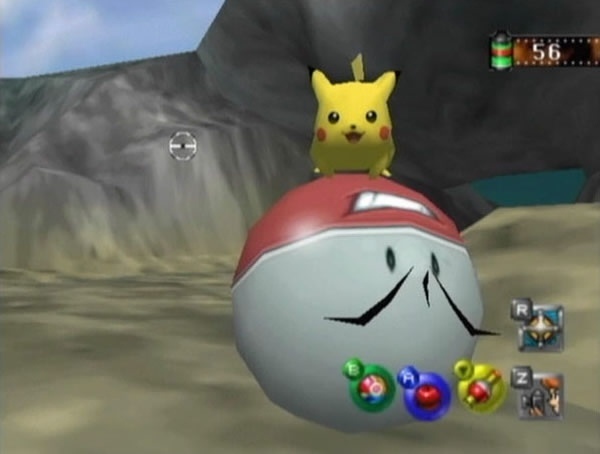 Wild Pokémon are often camera-shy, so you’ll have to use special items to bring them out in the open. 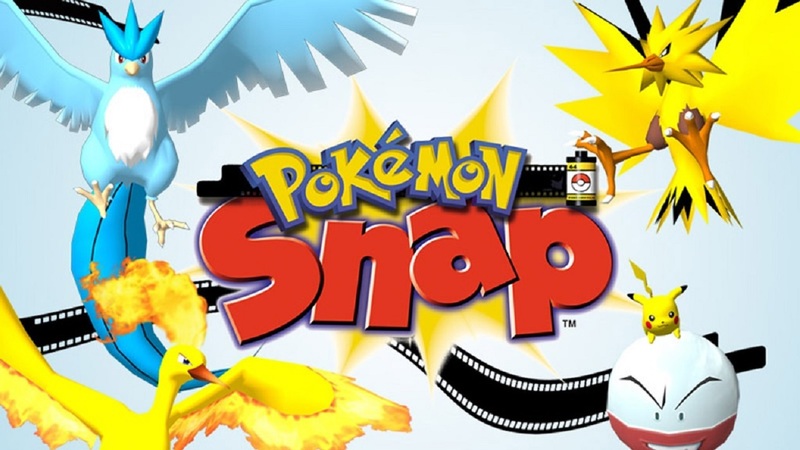 Only the best shots will do for the Professor’s Pokémon Report, so sharpen your photography skills and get ready to SNAP! 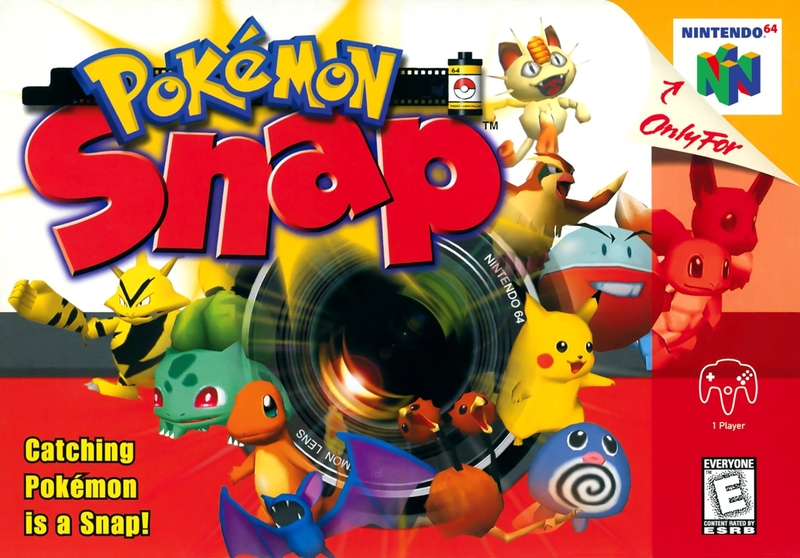 * The first-ever N64 game to feature the world-famous Pokémon--fully rendered in 3-D! * Explore the many environments of Pokémon Island, like the sunny beach, the mysterious caves, and even a red-hot volcano! 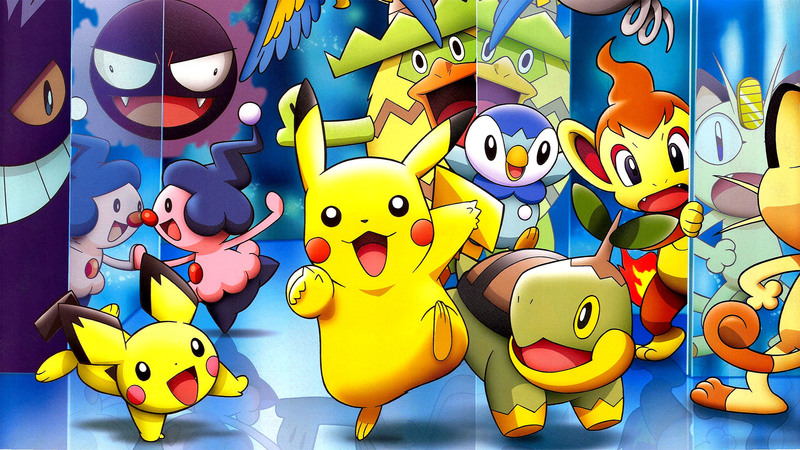 * Many different types of Pokémon inhabit the island. See how many you can catch on film! Professor Oak needs your help! * Many different types of Pokémon inhabit the island. See how many you can catch on film!